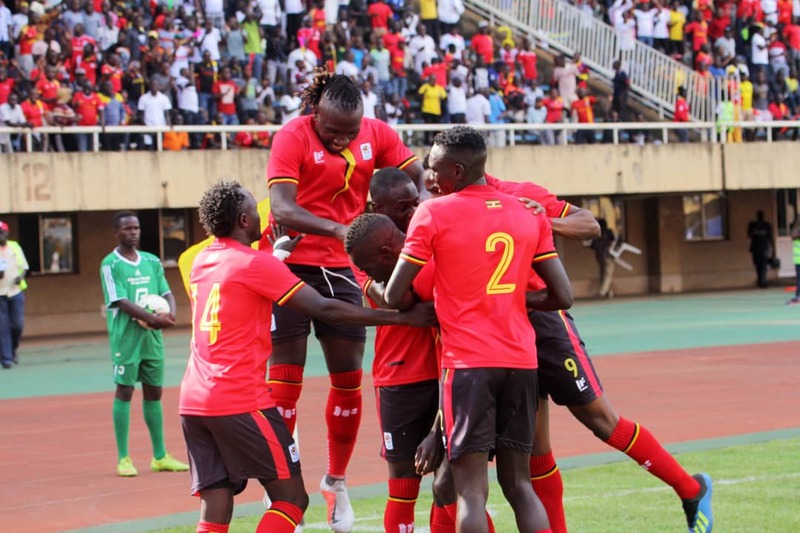 KAMPALA – It is all excitement around the Country as Uganda closes in on a second consecutive appearance at Africa’s football showpiece-African Cup of nations. After breaking a 39-year-old jinx and qualifying for the 2017 edition in Gabon, the Uganda Cranes find themselves only a point away from securing a ticket that will guarantee their participation at the 2019 finals in Cameroon. Despite the fact that everyone wants the qualification to be sealed this weekend with either a victory or draw against Cape Verde, the Pearl of Africa can still make it to Cameroon despite defeat. This all comes about due to the change in rules back in 2017 when CAF announced that the final tournament in Cameroon had been expanded from 16 to 24 teams. Under the new format, the group winners and runners-up would qualify from all other groups apart from Group B which features the hosts-Cameroon. Uganda currently sit on top of Group L with 10 points, five ahead of second-placed Tanzania. Cape Verde are third with four will Lesotho sit bottom of the pile on two points. All that side, with two games to play for all four nations. –If Cape Verde defeats Uganda at Namboole, the Blue Sharks move to 7 points while Uganda remains on 10. Uganda will however qualify if Tanzania fails to beat Lesotho in Maseru. A draw in the game in Lesotho means that second-placed Tanzania moves to six points while the host move to three and with one match day to play, none of them would be in position to catch Uganda. –If Lesotho beats Tanzania, the hosts move to five points level with Tanzania and with one game to play meaning that none again would be able to catch Uganda who would still be on 10 points provided they lose to Cape Verde. Other Ways Uganda Qualifies for the AFCON tournament in Cameroon. –A draw at home to Cape Verde would automatically mean that none of Saturday’s opponents or Lesotho can catch the Cranes after all games are played hence qualification. The only thing that would be there to play for would be who tops the group between Uganda and Tanzania. –If Uganda fails to beat Cape Verde and Tanzania defeats Lesotho, they would still qualify on the last day just by avoiding defeat in Dar es Salam. I am sure qualification would not feel any sweeter with a loss but after all, the Cranes would still have achieved their target in the first place. However, Uganda can still fail to qualify if they loose their last two games and both Cape Verde and Tanzania win theirs.